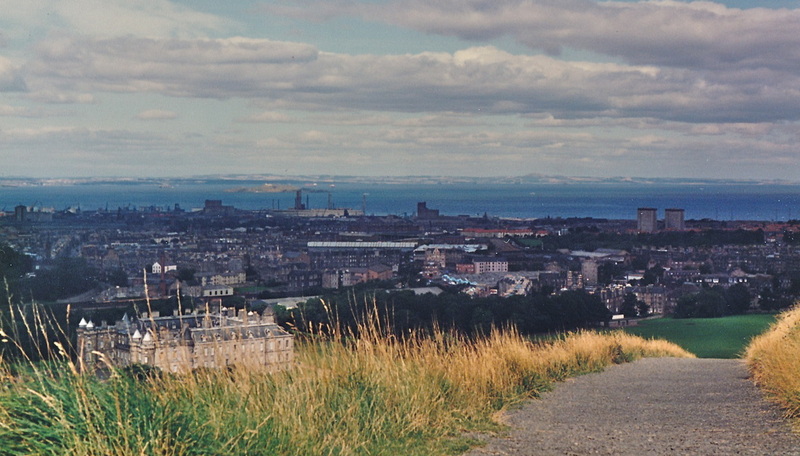 ​On the way to St. Andrews, we changed trains in Edinburgh, which is the capital of Scotland. We planned our train connection so we'd have a few hours to wander around town. The city goes back eons: there has been a fortress on sorts on today's castle site since the 6th century. Just so you know: Edinburgh is not pronounced “Edinburg,” it is pronounced “ED-in-burra.” Now you won’t embarrass yourself. 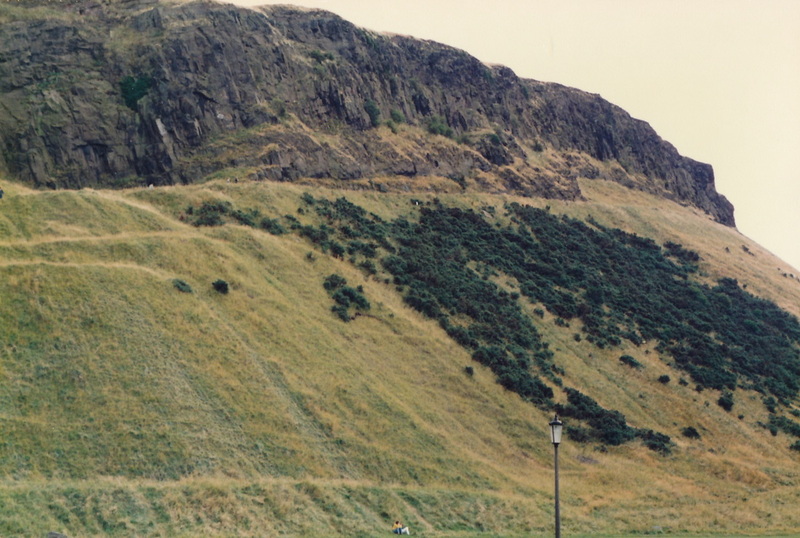 Interesting little fact: the castle sits on an extinct volcano. At least, everyone assumes it's extinct. Some of the buildings that make up the castle standing today go way back to the 12th century. Over the years the castle been a royal palace, fortress, military garrison, and prison. If you tour the castle, be sure to look for the hole out of which in 1811, 49 French prisoners of war hacked their way through. The daring escapees then lowered themselves on ropes down the south crag. Not an easy feat. While you're at the castle, check out the Stone of Destiny. It has a fascinating history. According to legend, the stone came from the Holy Land, where Jacob supposedly used it as a pillow. I guess back in those days using rocks as pillows was comfortable. Rocks have obviously hardened up since then. Oh, and in case you forget your bible studies, Jacob was the one who had the all-night wrestling match with God. Hint: Jacob did not win. The story goes on that the Stone of Destiny was transported through Egypt, Sicily, and Spain, then taken to Ireland, where Saint Patrick himself blessed the rock for use in crowning the kings of Ireland. We know that the Stone was last used to crown a king in Scotland in 1292. Then we know that it was stolen by England’s Edward I, who was really, really pissed at Scotland— especially at William Wallace, who yelled “freedom” so loud that men came from miles to see what was going on and got roped into battle. ​Edward snagged the Stone and had it built into his own throne, where it has been part of the coronations of most English (and later, British) monarchs. The last time the stone was used was in 1953 for the Coronation of Queen Elizabeth II. Then, on November 15, 1996—some 700 years after it was stolen—England decided to give the stone back. I have no idea what prompted this and I am too lazy to look it up, but I bet it’s fascinating. So now the stone is back in Scotland, from whence it came. But wait, there’s more. Is it the real stone? On Christmas Day 1950, the Stone of Destiny was abducted from Westminster Abbey by Scottish Nationalists. Although the stone was returned four months later, modern myth wonders: Was the returned stone the original one? Or is it a fake? In other words, is the stone now sitting all proud in Edinburgh Castle the real one? A lot of stones look alike. And probably there are tons of stones that look comfortable enough to use as a pillow. My guess is that we will never know. After we left the castle, we walked down the street to this place because it was on the list of must-sees. Unfortunately, it wasn't open, so all we could do was stare at the front and wonder about what was inside. Luckily, we had a guidebook that told us. Legend has it that Holyroodhouse was founded as a monastery in 1128. Today it is the Queen's official residence in Scotland. ​I really wanted to see the inside because the palace has a long and not always pleasant history. It is best known as the home of the ill-fated Mary, Queen of Scots. Mary married Henry Stuart, Lord Darnley, at Holyroodhouse in 1565. One year later she helplessly watched her husband’s men stab her private secretary, David Rizzio, 57 times. 57! Isn't that crazy? Lord Darnley, it turned out, was jealous of Rizzio's influence over Mary. He obviously hired men he could trust to carry out orders very, very thoroughly. 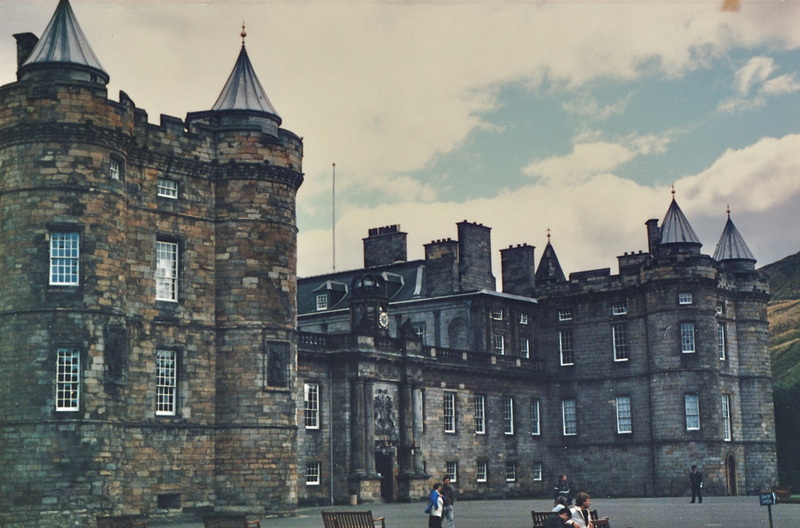 If you take a tour of Holyroodhouse you’ll see Mary’s Bedchamber, described as “the most famous room in Scotland,” as well as her Outer Chamber, which was the scene of Rizzio’s murder. I didn't get to see either room. Sigh. 2. archaic : a sharp detached fragment of rock. ​Don't pronounce it the way I did—"Craig"—the word crag rhymes with bag. Almost there. We are glad there is a path. The exercise and view make everything better. Our foray up the crag didn't leave much time to explore the city.But we did get to see this shop window. A perfect Scottish wedding, no?